Let’s examine how the “buyer in control” marketplace has radically shifted the way marketers and sales professionals need to approach growing revenue. Revenue Performance Management is the strategy that transforms the way marketing and sales work – and work together – to adapt to this new world. As I look back at the past 10, 15 and 20 years of the way the IT industry and modern business management techniques have really changed business, it’s incredible to see what Six Sigma has done to manufacturing quality and efficiency, or what Real Time Supply Chains have done to the way companies manage inventories. It’s truly transformative. I believe that there’s one last frontier – one single best place that virtually every company could go to improve their performance. That is the revenue performance of the way an organization’s marketing and sales processes work. There has been a profound upheaval in everything to do with how companies – large and small, in business and consumer industries – go to market and make more money. The root of all of this is one specific change that dominates everything else: the buyer is fundamentally in control of the buying processes. Today, nobody would buy a flat panel TV, a digital camera or even a network router for that matter without starting with a web search or starting with social media. They simply tweet to their friends to find out what’s going on. This has completely changed the processes of selling and marketing. Marketing and sales people no longer can think about to reaching out and finding perspective buyers. What they need to do instead is let buyers find them, and then talk with those buyers over time to build relationships to meet the buyers’ research and information needs. Then, they ultimately can go in and close revenue when the buyer is ready. 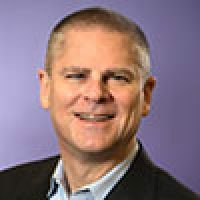 At Marketo, we use the term Revenue Performance Management to describe the strategy that we think every company must adopt to really power their topline revenue growth in a new world where the buyer is in control. What we mean by Revenue Performance Management is truly a strategy where the sales and marketing teams transform the way they work – and work together – to adapt to this new world. Revenue Performance Management is a world where marketing casts a wide net and uses all of the channels available to them – the web, social channels and traditional channels – to find buyers when buyers are looking to find them. Marketing can use this process to build relationships with the buyers over time, nurturing the buyer until they are ready to buy. At that time, they pass the ball to the sales organization. Sales then spend their time talking to the buyers that most want to buy from them. This Revenue Performance Management strategy is about this transformation process in which these two teams come to work together, and not only do their jobs in a different way, but also think about how to measure and optimize their jobs in a different way. What keeps me up at night is: How am I going to grow revenue? Every month, every quarter, Marketo needs to be bigger than the last. Virtually every CEO is faced with that same challenge. How do they continue to grow revenue? Our mission at Marketo is to bring a revenue revolution to the world. By adopting Revenue Performance Management techniques and strategies, every company can transform the way their marketing and sales teams work – and work together – to drive predictable revenue. They need to understand that the buyer is in control. The buyer makes the decision about talking to marketing or talking with a sales person. Marketing and sales need to adapt. They need to cast a wide net. They need to find more buyers. They need to improve lead generation. They need to develop a relationship with those buyers over time. Then, they need to hand those leads off to the sales people when, and only when, they really want to talk to a sales person. If you do this – and sales people spend their time talking to people that want to buy from them – companies can radically improve sales performance, radically improve the topline of the company and achieve a revenue revolution in their own business.